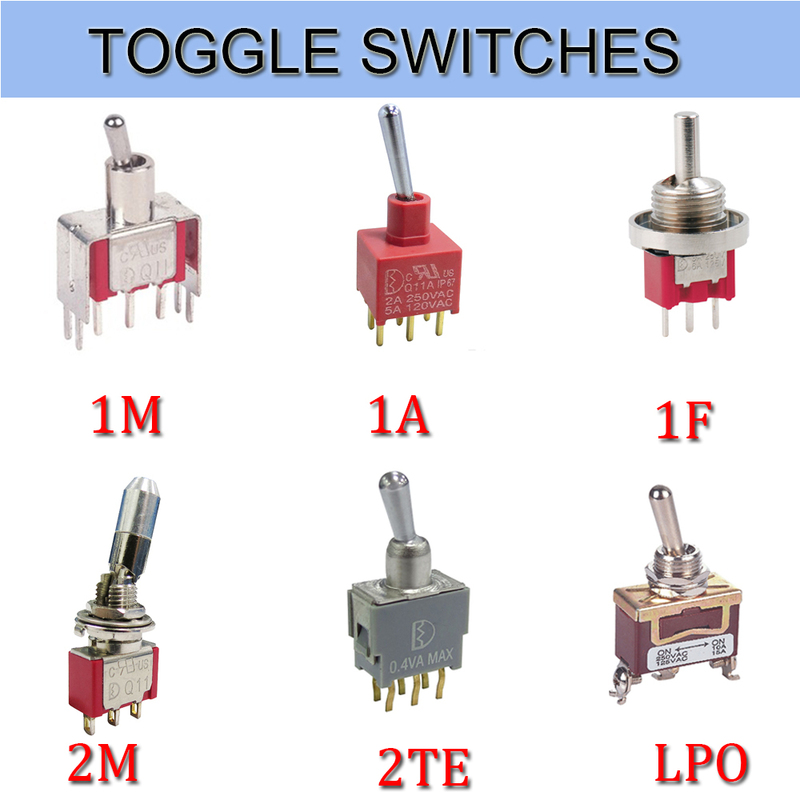 Product categories of Toggle Switches, we are specialized manufacturers from China, Toggle Switches, On Off Toggle Switches suppliers/factory, wholesale high-quality products of Micro Toggle Switches R & D and manufacturing, we have the perfect after-sales service and technical support. Look forward to your cooperation! Toggle switches, also called On Off Toggle Switches, is often used as the switching device of the equipment stalls. Meanwhile, we are also offer our customers Key Switches, Metal Switches, Automotive Switches, Push Button Switches, etc. The Electrical Toggle Switches is a manually controlled Toggle Switches similar to the dial switch. 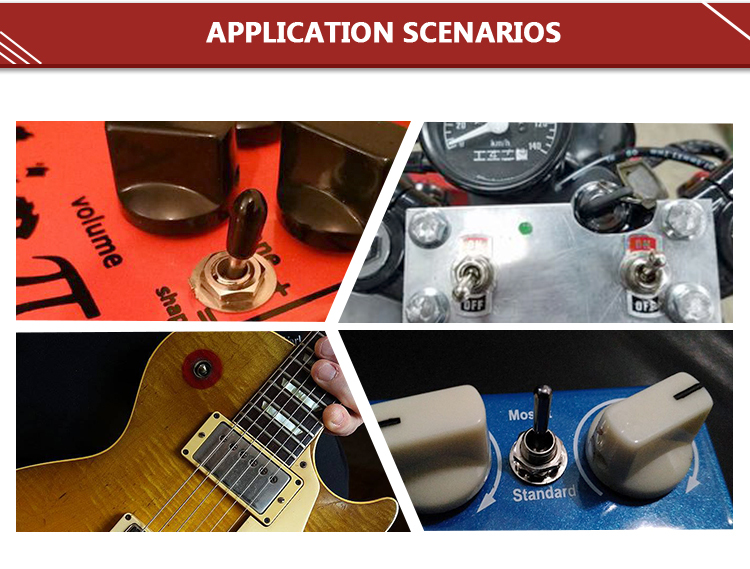 Most of this Latching Toggle Switches are widely used in on-off control of AC and DC power circuits, and are less commonly used in circuits of several kilohertz or up to 1 megahertz. Let's take a look at the following. The vertical mounting of the terminals and the terminal pins are right-angled, so it is a vertically mounted right-angled toggle switch. Its contacts are gold-plated and highly reliable. Mostly used in anti-theft devices, alert system. At the same time, the switch breaks the phase line and the N line and controls one branch. Therefore, it is a bipolar single toggle switches. The contacts are in 3PDT form and are used for multimedia speakers and stereos. Compared to the vertical switch, it only changes direction to horizontal, so it is horizontally mounted right-angle toggle switch. The contacts are double-pole double-throw and the bottom of the terminal is Epoxy Seal. Mostly used for computer peripherals.